The two Koreas on Friday agreed to immediately establish and operate a joint liaison office in Kaesong, the South Korean Ministry of Unification (MOU) announced. The statement follows a high-level inter-Korean meeting at the Peace House on the southern part of Panmunjom between 1000 and 1055 KST. “We made the suggestion to the North Korean side to install the joint liaison office in the Kaesong Industrial Complex as the first project and operate it immediately,” a South Korean government official told pool reporters at a news conference following the meeting. The South Korean government official on Friday said Pyongyang had agreed to push ahead with the plan. “[The North] proposed to open it at the earliest possible time,” they said, adding that the DPRK stressed the need for “advance preparation” before the office could be set up. “The facilities in the Kaesong Industrial Complex (KIC) require refabrication as they haven’t been used for a long time,” the spokesperson said. The South Korean government unilaterally closed the joint-run industrial park in February 2016 in the wake of Pyongyang’s fourth nuclear test and test-launch of a long-range rocket. But despite the North’s claims on Friday that KIC facilities “haven’t been used for a long time,” last year saw several reports suggesting the DPRK was putting the factories to use. North Korean state-run media even claimed in October that they would be “more vigorously operated” in the future. Satellite imagery of the area at the time did not show any significant activity at the complex, though reports by Radio Free Asia claimed that the North had been operating clothing factories in the now-abandoned factories. 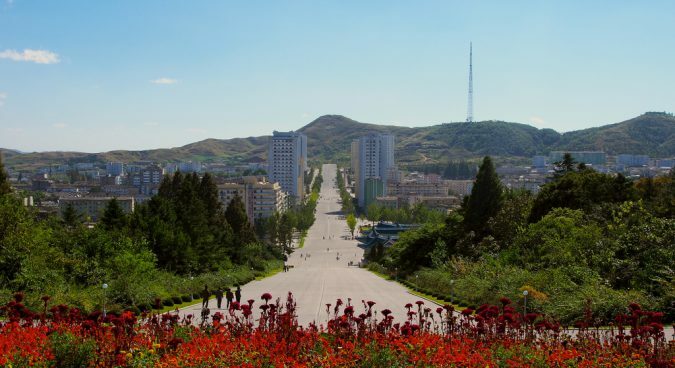 Since the Panmunjom Declaration saw the two Koreas agree to set up a liaison office in Kaesong, however, the South Korean government has denied that it is linked to any plans to reopen the KIC. 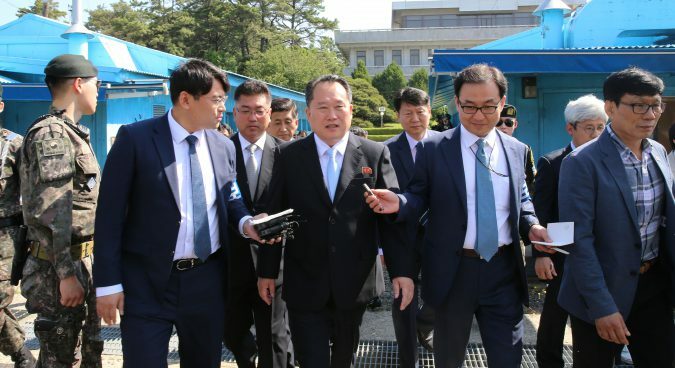 “Even though the South-North Korea joint liaison office is established in Kaesong area, I’d like to say it is separate from the resumption of the Kaesong Industrial Complex,” unification minister Cho Myoung-gyon said early in the month. The issue of reopening the complex is contentious: while Moon pledged during his election to “expand” the KIC, any move by Seoul to restart inter-Korean cooperation at the plant would almost certianly violate international sanctions against the DPRK. Friday also saw the two Koreas share opinions on an upcoming June 15 event to mark the first inter-Korean meeting in 2000. The North “proposed holding a joint South-North Korean event on June 15 in the South Korean side with the presence of governments, private sectors, political parties, social organizations and parliament,” the ROK official said. The South Korean side expressed its support for a variety of working-level talks, including Red Cross talks on reunions of separated families, general-level military talks, and meetings on forest cooperation and joint construction of roads and railways. The ROK also raised the possibility of research on the connection of railways and roads between Seoul and Sinuiju and the Moon administration’s broader plan for a “new economic map” for the Korean peninsula. 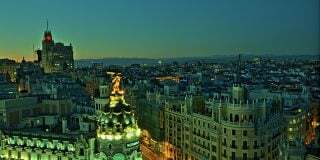 The Moon administration in July last year described the realization of its “New Economic Map Initiative” of the Korean peninsula as one of its primary policy goals. Three economic belts have been proposed to connect the two Koreas economically: an energy-resource belt on the East Sea coast, an industry-logistics and distribution-transportation belt in the West Sea coast, and an environment-tourism belt at the Demilitarized Zone (DMZ). The South Korean delegation reiterated the “significance of implementing the Panmunjom Declaration in a speedy manner and systemically based on the spirit of trust and mutual respect,” according to the official. 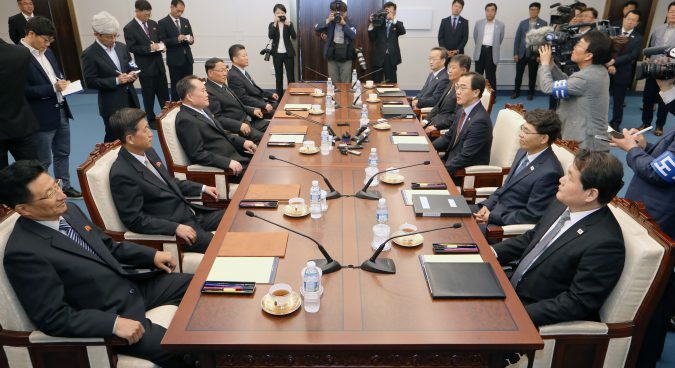 A six-member delegation led by Minister of Unification Cho Myoung-gyon was dispatched to the high-level meeting. Chairman of the Committee for the Peaceful Reunification of the Country (CPRC) Ri Son Gwon is serving as the chief delegate for the DPRK five-member delegation. The talks are set to continue into the afternoon. Subscribe to read the remaining 834 words of this article.